The UNO CARBON Black Edition one-hand watch is a statement in favour of a relaxed approach to time. Thanks to the one-hand principle developed by Klaus Botta in 1986, you will be able to tell the time more quickly with the UNO CARBON Black Edition than with any other watch. This is because of the way the time display is simplified to the maximum possible extent. The UNO CARBON Black Edition displays the time in a way that is just as intuitive as a car’s speedometer. Nobody would ever think of designing a speedometer with several hands in order to improve its readability. While it is true that conventional multi-hand watches show the time to the precise second – they still do not allow the time to be told as intuitively as the one-hand principle does. A clear explanation of the one-hand watchprinciple can be found here. 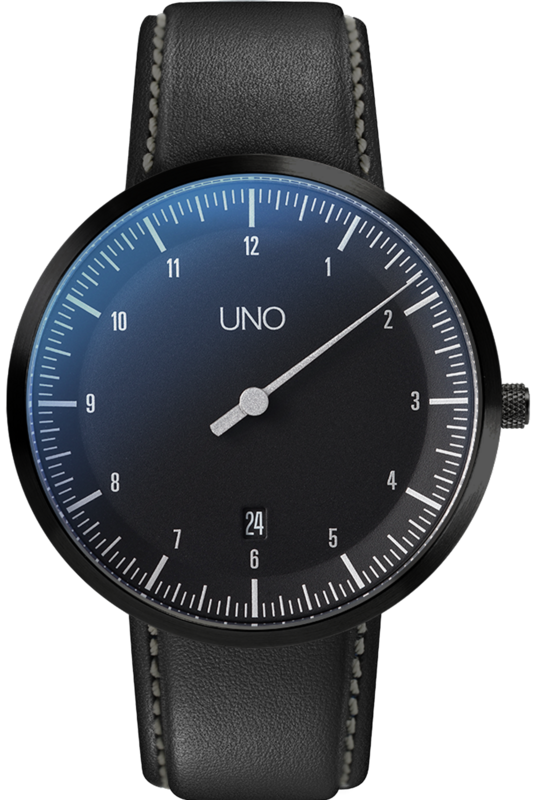 With an external diameter of 42 mm, the UNO CARBON Black Edition is the smaller of the two UNO Automatic models. The stainless steel case of this Botta-Design one-hand watch comprises a perfect cylinder with tapered underside which reduces the absolute overall height of 9.8 mm to a visible side height of roughly 4 mm. The 3D dial of the UNO CARBON Black Edition is wrought from a solid brass cylinder and gives the watch a high-quality plasticity. Two flat sapphire glass covers are used in the UNO CARBON Black Edition. In the glass that covers the dial, a scratchproof high-tech coating reduces reflections and thus ensures very good readability in all light conditions. The base of the UNO CARBON Black Edition one-hand watch is also made of high-grade sapphire glass, granting an insight into the elegant “engine room” of this design classic. The stainless steel case of the “Black Edition” features an extremely resistant black PVD coating which gives the watch a refined semi-gloss look. An ingenious display principle also deserves a high-quality movement. 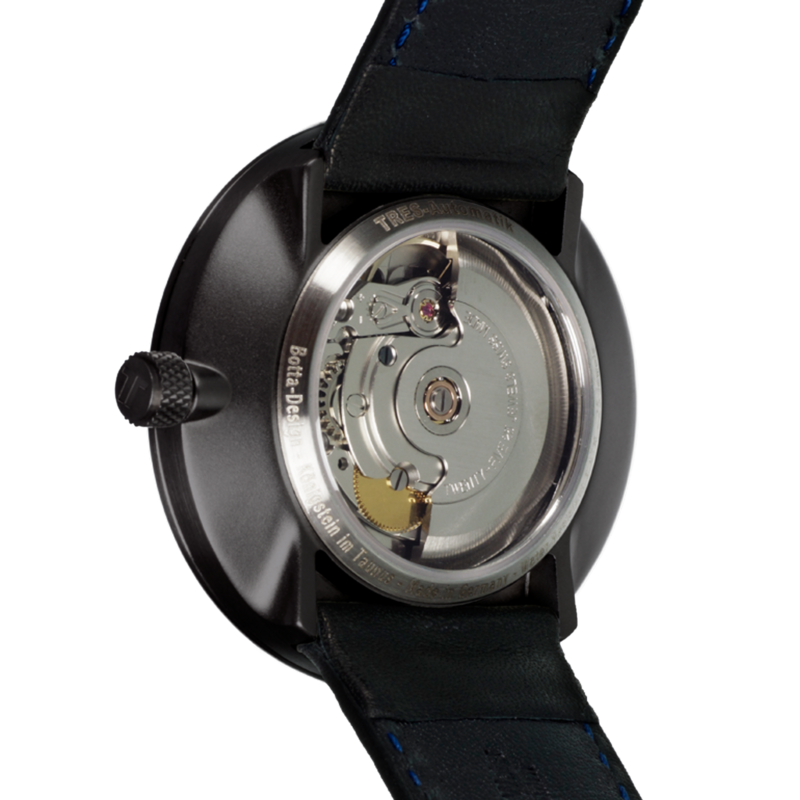 We have opted to use the ETA 2824.2 Swiss-made automatic movement, which is one of the most reliable mechanical movements available. This gives you the very best chance of still deriving great pleasure from your purchase even after many years. In addition, every single movement spends several days being carefully adjusted for maximum precision by a watchmaker – this is our way of contributing to your punctuality. 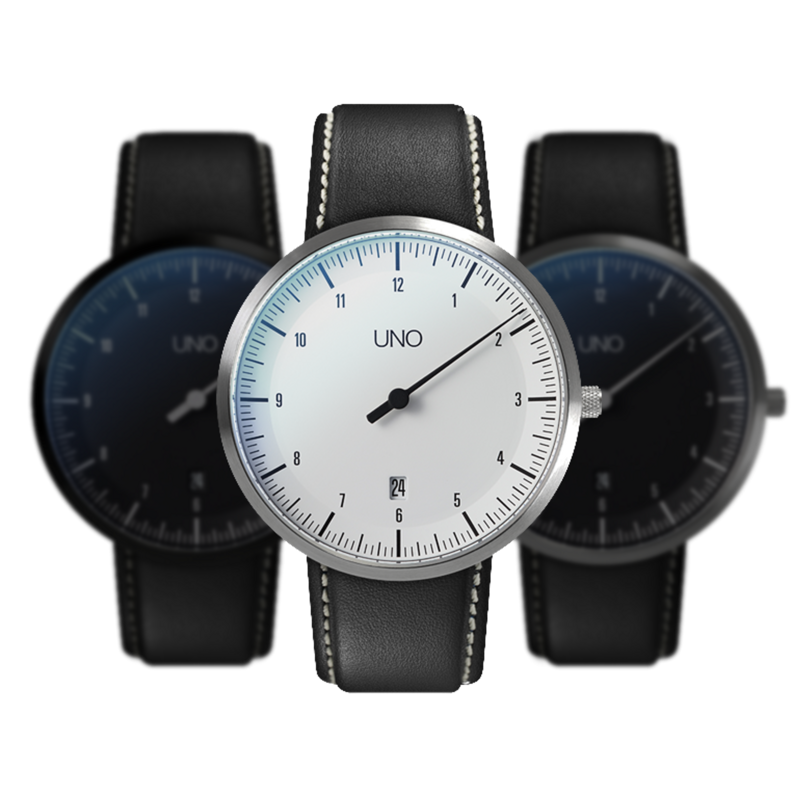 The UNO Black Edition Automatic will be shipped 0. Until then, the model can be pre-ordered at a discount of € -790. Shipment will be on a first come, first served basis.